WARNING: This map may cause an uncontrollable urge to get outside! Home » Hiking & Outdoors » WARNING: This map may cause an uncontrollable urge to get outside! 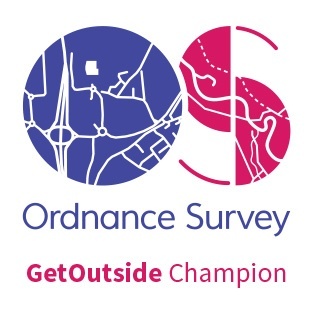 This is a new kind of map created by Strumpshaw, Tincleton and Giggleswick’s (of Marvellous Maps) for Ordnance Survey. 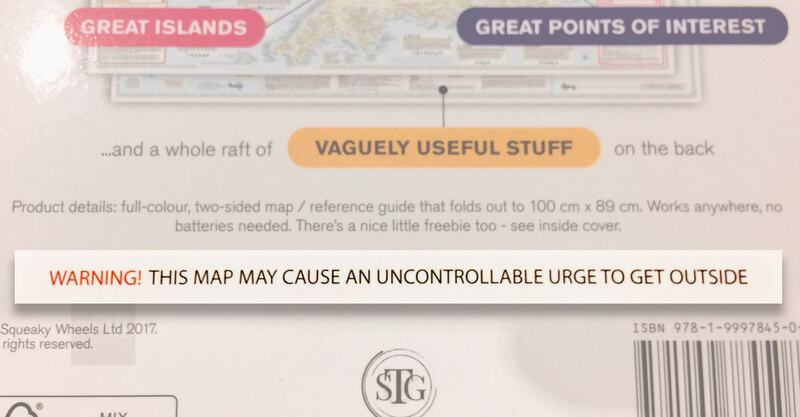 Luckily for us, one of these exciting maps popped through the letterbox! 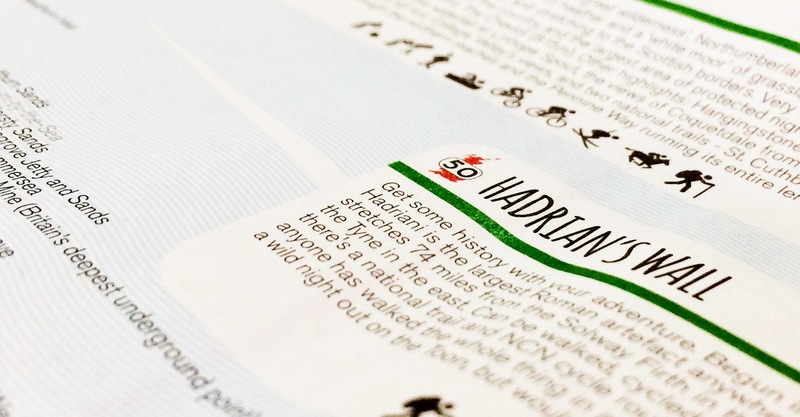 It’s a two-sided foldout map in the tradition OS LandRanger map style. There are so many astounding places to visit in Britain, and this map features the best, including best wild places, islands, mountains, beaches, waterways, views of all of Britain. One big map of inspiration!  If you’re looking for ideas for a new place you are visiting or wanting to discover more in your local area, then this map is worth having a look at. I’ve spotted some walks on there already that I would like to undertake. I love the fact that this map is fun and entertaining with random trivia; no one can say this map is boring! You can get involved with this map too! And add your ideas, tick off areas you’ve visited, so it really does become your ‘own’ adventure map. 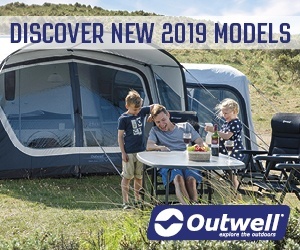 It’s an overload of inspiration for any outdoor enthusiast. 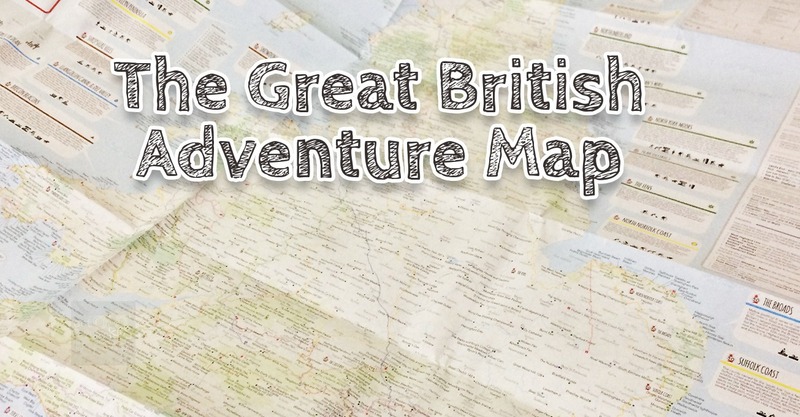 The Great British Adventure Map will certainly get you wanting to plan some more adventures! 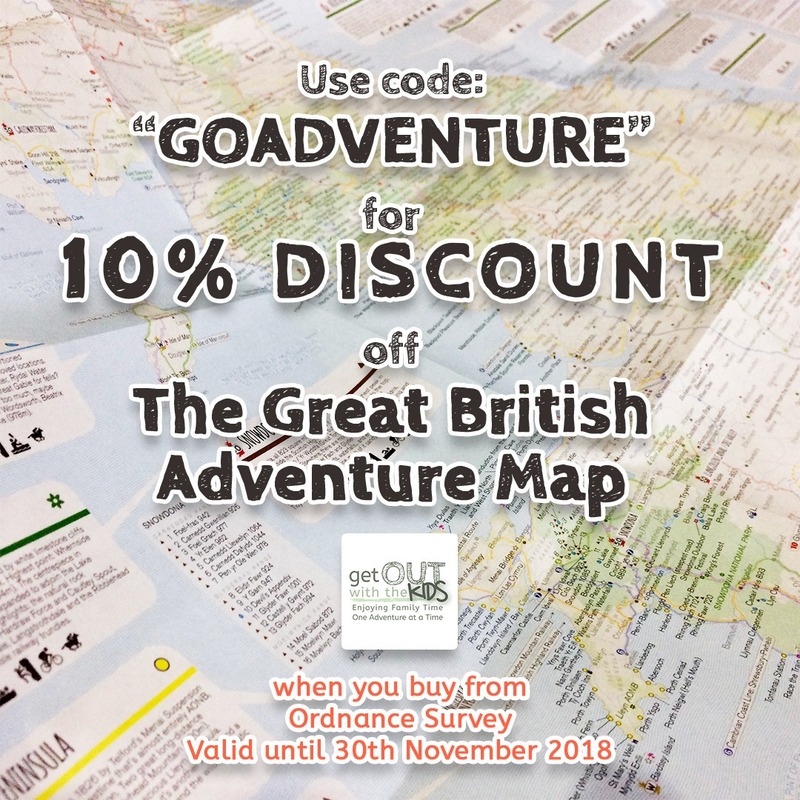 Use the discount count “GOADVENTURE“ for 10% OFF when you buy the map from Ordnance Survey. 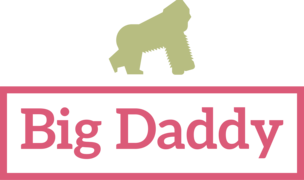 Here are some more items we have tried, tested, and reviewed.